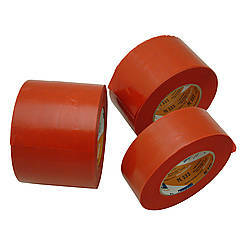 Purchased Most Frequently: 0.24 in. 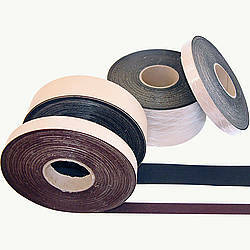 x 33 ft. / Slim J (Matte Black) | See Pricing Table below for additional options. 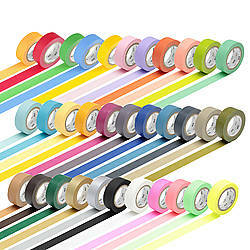 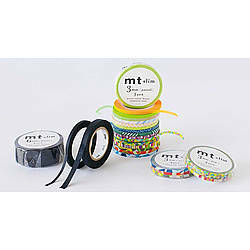 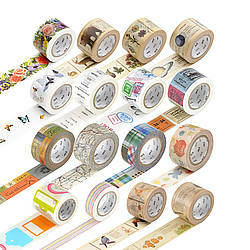 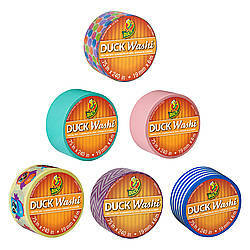 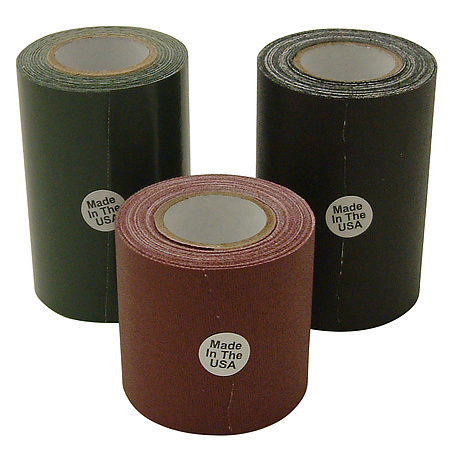 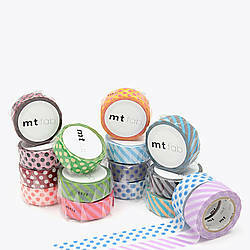 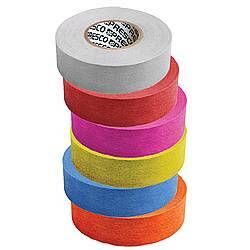 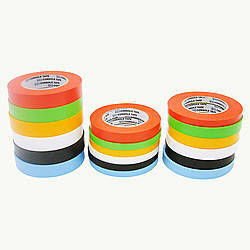 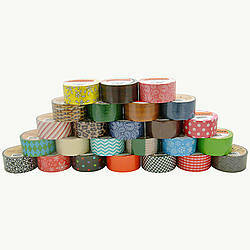 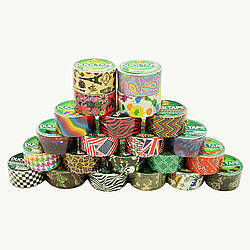 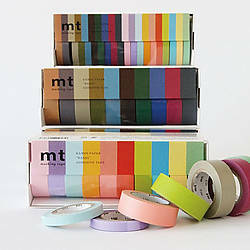 mt Slim Washi Paper Masking Tape sets add color and design to even the smallest project details. 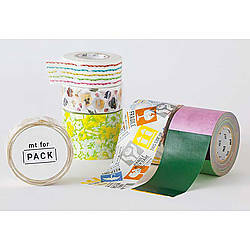 The narrow width gives you complete creative control over placement and accents for all types of applications. 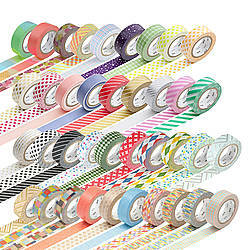 With mt Slim Washi tape you can add unique and colorful borders to picture frames, cards and stationery, calendars, fixtures around your home, and so much more. 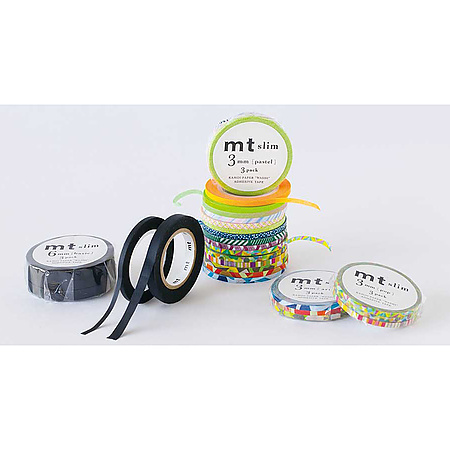 mt Slim Washi Paper masking tape sets are available in many color and design combinations including multi-color twist, black and white, primary solid colors, and beautiful artistic patterns you have come to appreciate from genuine mt Kamoi Kakoshi washi tape products.